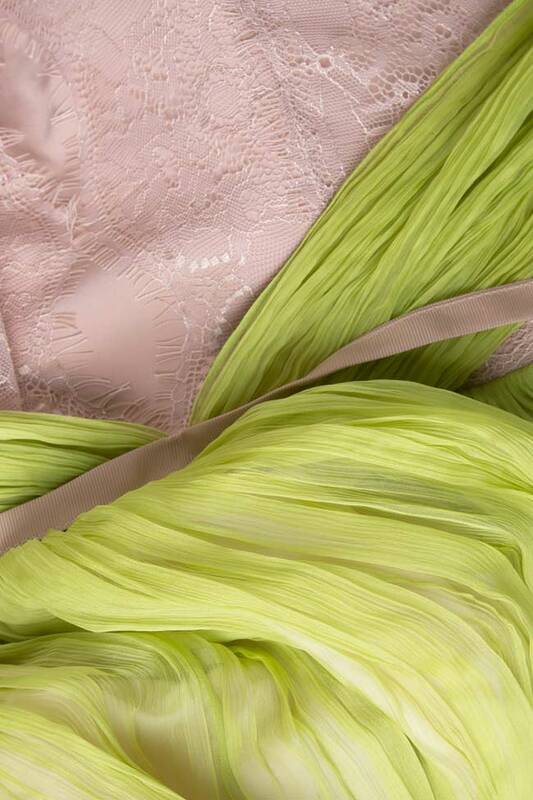 Nicole Enea's dress is expertly made from swathes of kiwi-green silk-mousseline, and softly pleated for feather-light movement. The plunging neck reveals pink hand-sewn Chantilly lace, while the knee-lenght skirt is perfect for showing off a pair of dazzling stilettos. Just add sleek earrings for an elegant evening look.